After the motorbike road trip in September to Mu Cang Chai and Sapa, our travel group set off again for the new year holidays. 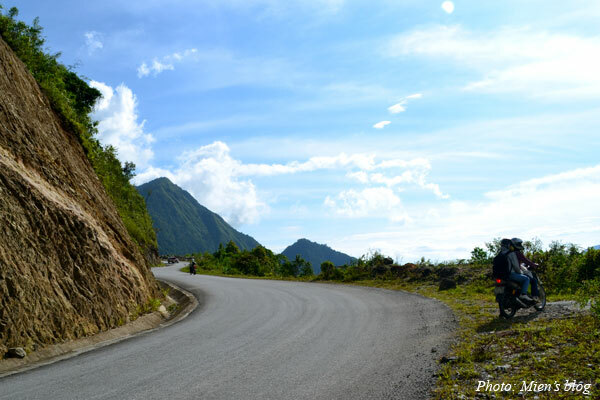 This time our trip covered a famous route in the North of Vietnam: Bac Kan – Cao Bang – Lang Son (Cao – Bắc – Lạng). It was almost a border road trip because we drove mostly along the border between Vietnam and China. Roughly 1,000 km (620 miles) in 4 days! And each of us spent less than 1.5 million VND (USD 75) including petrol, food, drink, guest house, etc. We had an unlucky first day. It was drizzling the whole morning so the road was super dirty. However, we were totally aware that dirt was a certain part of a motorbike road trip so we didn’t bother too much. We left Hanoi around 8am and arrived in Bac Kan in the afternoon. The destination was Ba Be Lake (Hồ Ba Bể), the biggest lake in Vietnam. You can take a canoe to go around the lake and explore the small islands. The whole package will take 5 hours. We didn’t have time since it got dark very quickly in winter, thus, we cut the canoeing time real short to only 1.5 hour. 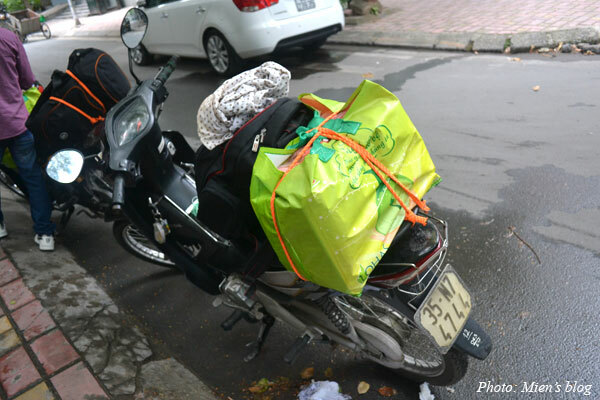 This entry was posted in Vietnam, Vietnam Travels and tagged Hanoi, Motorbike, Photo, Road Trip, Vietnam, Vietnam Travels. My first piece for Word Hanoi Magazine about Vietnamese backpacking motorbike road trips. Photo and words by me. Thanks to Nick Ross for editing. You can read the full article on Word Hanoi’s website. 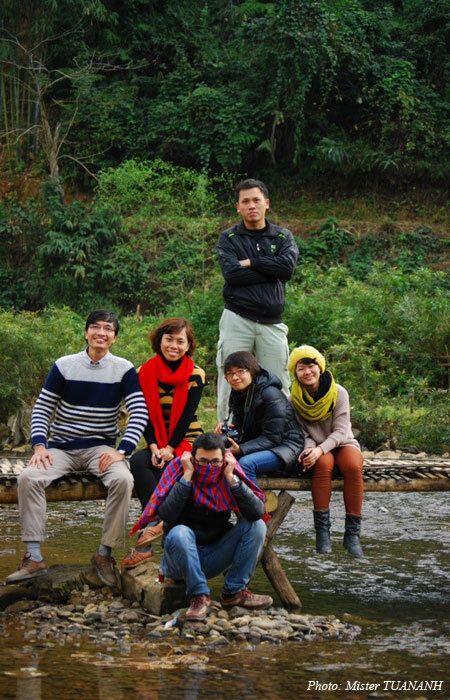 This entry was posted in Vietnam, Vietnam Travels and tagged Backpacking, Road Trip, Vietnam, Vietnam Travels. So finally I’ve decided to do that trekking trip to the top of Mount Fansipan, the peak of three countries in former Indochina (Laos-Vietnam-Cambodia), located in the North of Vietnam, in the Hoang Lien Son mountain range. 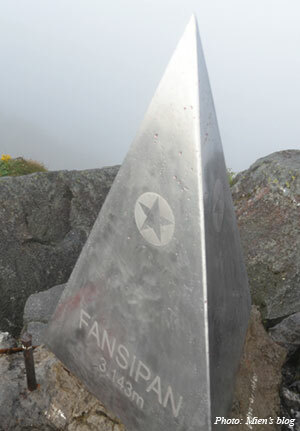 Trekking up to the top of the highest mount to hug that triangle metal piece saying “Fansipan 3,143m” has become a long time tradition among young Vietnamese people. And obviously, Fansipan is also a kind of tourist attraction since it is very close to Sapa, a famous destination for tourists in the North of Vietnam, and a few adventurous and athletic travelers love to combine their Sapa trip with this Fansipan Mount trekking. Before the trip my travel mates and I had quite a naive thought about the trek. We thought “it’s foot path and we can literally walk up to the top of the mountain(! ), only 15km up and 15km down, will be easy, everyone is doing it, we’ll be fine”. However, the whole trip actually turned out to be an intensive training of physical rock climbing, which no one had told us before. It is quite easy to organize for the trip. 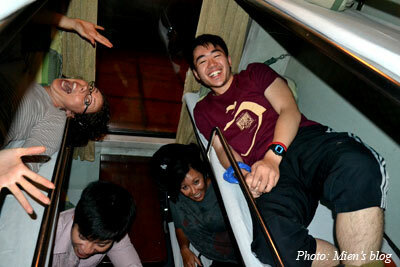 All you need to do is do is to book a package tour, then to buy train tickets. We booked a 2 day 1 night tour from this travel agency for 4 people at the price of VND1,420,000 per person (around USD70). Quite easy, just needed to make a few calls, send a few emails and deposit VND500,000 (USD25) 2 or 3 days before the trip. The difficult thing was actually the train ticket part. To go to Fansipan and Sapa, you need to buy train tickets from Hanoi to Lao Cai then go by bus from Lao Cai to the town. And Sapa is so popular for both foreign and domestic travelers that train tickets sell like hot cakes, especially at weekends. Thus, you’d better go for them at least 2 weeks in advance, or else you may risk having no places at all. The best scenario is that you can buy tickets directly from the train station, however, they reserve only a small amount here so you should really go early (2-3 weeks to make sure!). If not, then you’ll have to ring the agents and buy over-charged tickets. This entry was posted in Vietnam, Vietnam Travels and tagged Fansipan, Mountain, Train, Travel tips, Trekking, Vietnam, Vietnam Travels. This is the second time I’ve hit long distances by motorbike, but compared with the previous trip from Saigon to Phan Thiet on perfect roads (400km two ways, plus 70km to and from the white sand dunes) this trip to the northwest mountainous area of Vietnam was much more difficult and challenging. And it was even more memorable because we, two girls, could ride a manual bike up and down the mountains and race with the big trucks on halfway built roads under thick fog and heavy downpour. It was our 3 days “living” on the bike riding through roughly 850 km (510 miles). Well, Vietnamese people do love adventures and “risking their lives”, even too much, if you ask! Seven people joined the long journey and we planned to combine charity with our road trip. The ethnic groups in remote areas of Vietnam live in very poor conditions and their kids often don’t have enough school supplies. Thus, we prepared 30 little gifts for the kids before their new school year, each of which included 5 notebooks, 3 pens, 1 small towel, 1 soap, 1 toothbrush and 1 toothpaste. My friend and I did most of the shopping for the charity trip. The shopping part was easy until it came to carrying about 30 kilos of stuff out of the supermarket on one bike back to my friend’s place. It was quite tough for 2 slim girls like us but we managed to make it at last. And.. that was only the beginning of a tiring and challenging trip to come. Normally in a backpacking motorbike road trip girls don’t take the drive and only sit at the back. However, one guy quit before the trip, so my friend and I decided to go together and take turn to drive. We never knew what the mountain roads looked like..
We left Hanoi at around 7.30 in the morning. All 4 bikes were manual ones. Basically each bike looked like this, with a big bag of gifts at the back or in front and 2 people on it, each with their luggage! This is our “horse”. We love it! This entry was posted in Vietnam, Vietnam Travels and tagged Backpacking, charity, Motorbike, Mountain, Mu Cang Chai, Road Trip, Sapa, Vietnam, Vietnam Travels. Just 50km away from the central Hanoi, Quan Son Lake is a perfect place for nature lovers to enjoy a weekend out of the city’s dirt and noise. Quan Son used to be a part of Ha Tay Province. 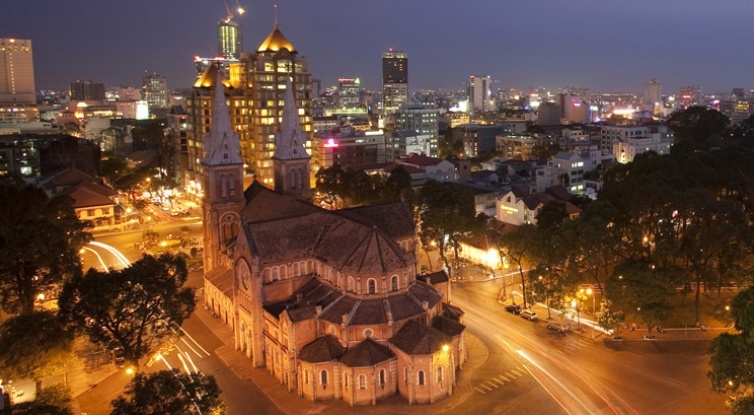 However, since the whole province was merged with Hanoi (which made Hanoi now become one of the largest capitals in the world) Quan Son Lake has been turned into a part of the capital itself. 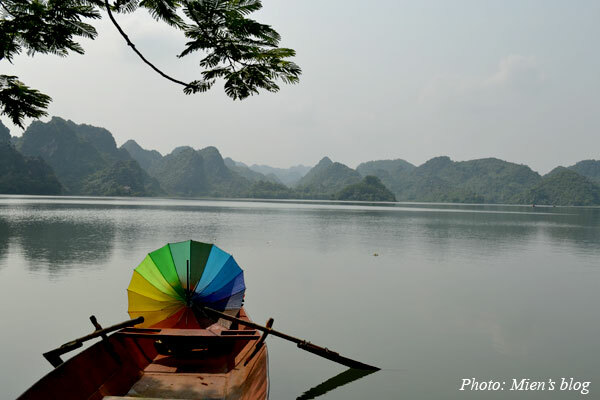 This entry was posted in Vietnam, Vietnam Travels and tagged Hanoi, Lake, Quan Son, Vietnam, Vietnam Travels. 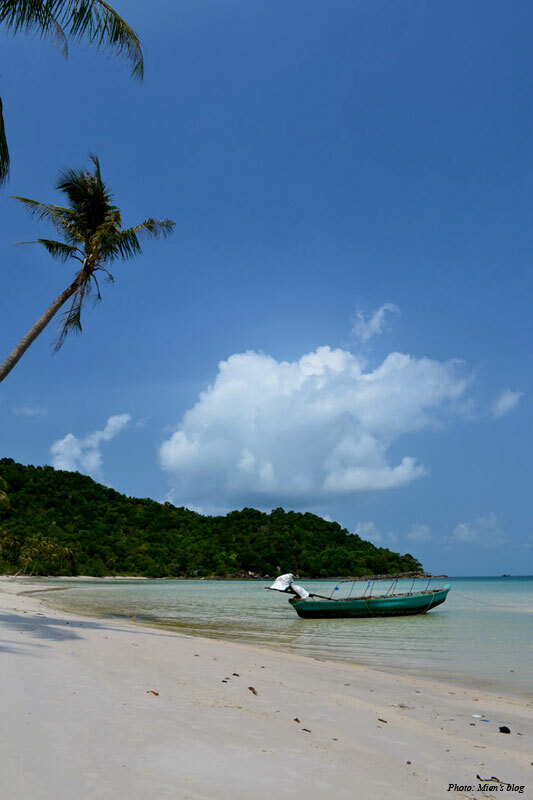 Phu Quoc has been famous among travel experts as the most beautiful island in Vietnam (obviously the biggest island of the country too). Although it has been a long-time tourist attraction, the island is quite under-developed and the roads here are such disasters. Either they have not been built at all or just half-way built and no one is actually working on building them. However, the beautiful beaches compensate for it all. And actually the road trip may turn out to be a memorable adventure. This entry was posted in Vietnam, Vietnam Travels and tagged Vietnam, Vietnam Travels. Once again I’m leaving my city Hanoi to look for a new adventure elsewhere. Poland, then India, and the next challenge now comes from my own country. Yes, the destination is called Ho Chi Minh City (or Saigon), a city in the South of Vietnam, also the biggest city of the country. I remember sometime ago a Saigon friend said to me that “Hanoi seems like another country to me”, I think I can now tell him the same thing “I feel like a stranger here in my own country”. This is not the first time I’ve been to Saigon, but the last time was already 3 years ago when I was just a visitor touring around the city. So much fancy about Saigon then! Taller buildings, wider streets, friendlier people, better services, etc. But things have changed so much since, and especially when you live here it is a lot more different and more REAL than when you are only a tourist. This entry was posted in Personal Opinions, Vietnam, Vietnam Travels and tagged Hanoian, Northerners, Vietnam Travels.